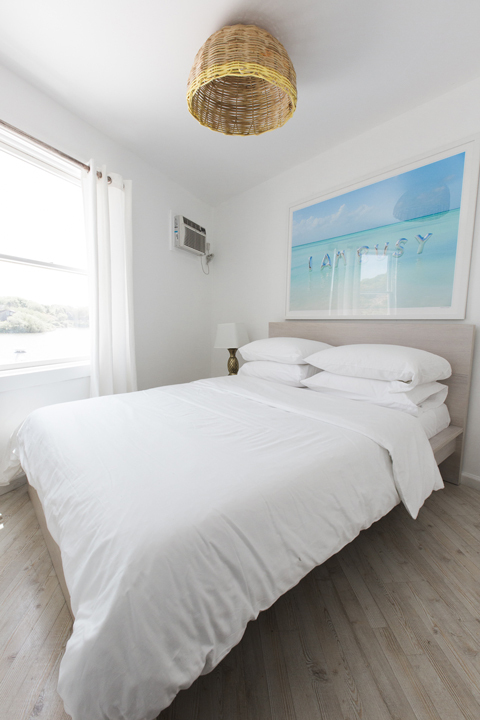 Having stayed at The Surf Lodge many times over the past few years, we had this fantasy about how we would update the rooms if we got our hands on them. Then, three weeks before the hotel opened for the season, we did. 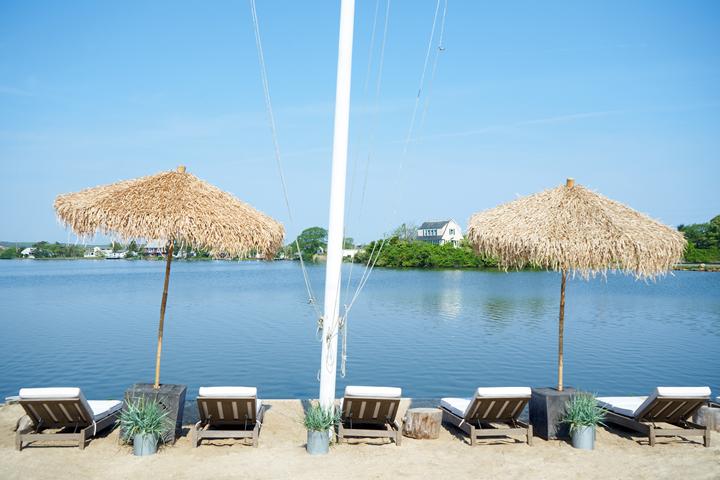 What can you do in three weeks, we hear you say? It turns out you can do a lot. 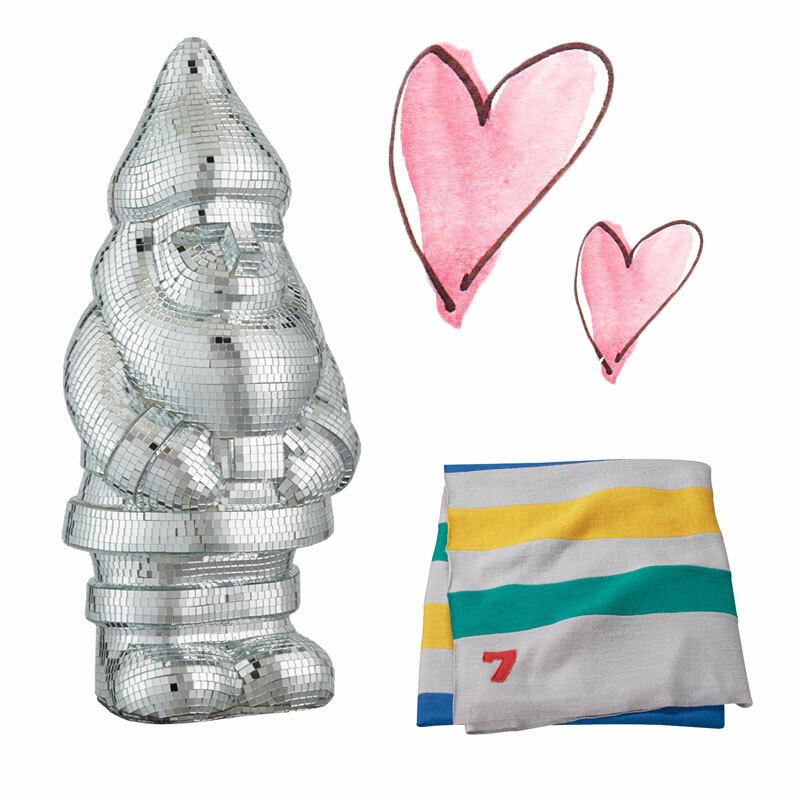 With the help of brands like RH, ABC Home & Carpet, Walls Need Love and Gray Malin, we were able to pull off a major refresh in time for the start of the season. Check out the pics below. 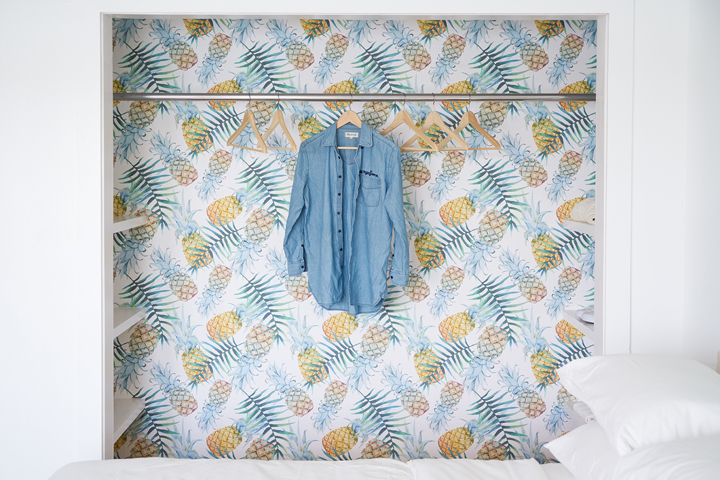 Walls Need Love wallpaper its amazing, it’s very easy to apply and the tones of this pineapple print are quite relaxing. We put it in the closets and kept them open for all day enjoyment of the print. 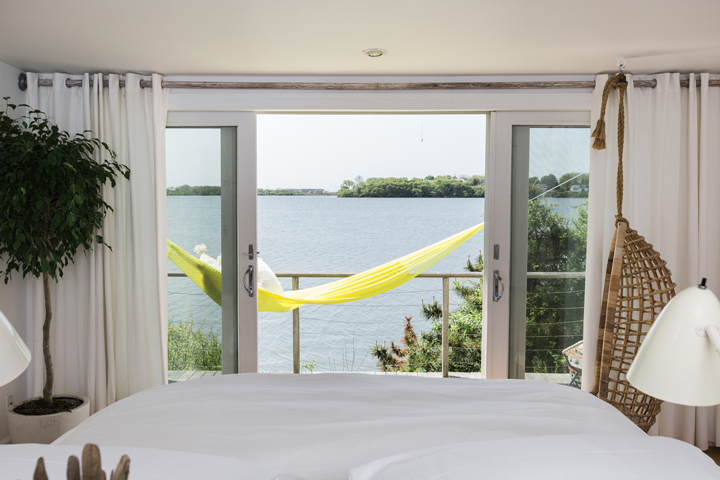 The beds in the standard rooms all face the pond, it’s a fabulous view to wake up to. 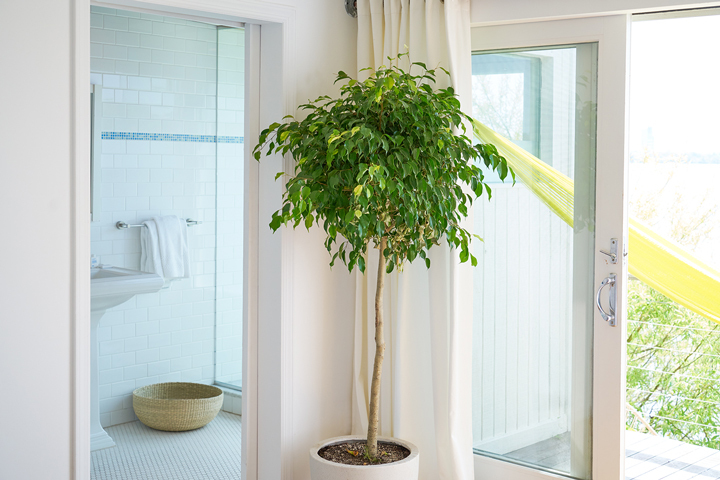 We added Fiddleleaf figs and ficus trees to all rooms and are happy to report they are enjoying their new lives in Montauk. 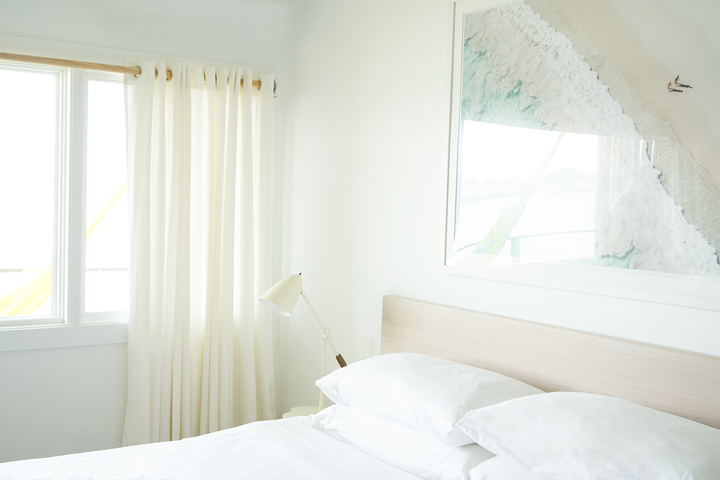 We went with soft pinks in one room, which evoke the insane sunsets at The Surf Lodge. It’s the only room in the hotel with a pink chaise (from ABC Home & Carpet). 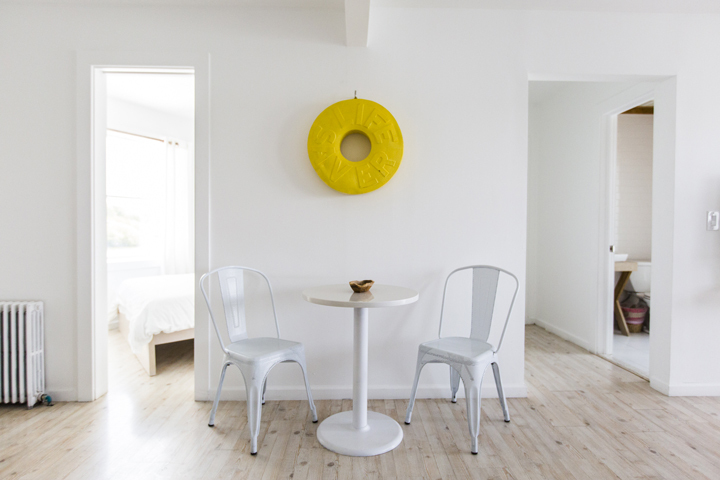 The vintage Papasan chair is from Porter James in Greenpoint. 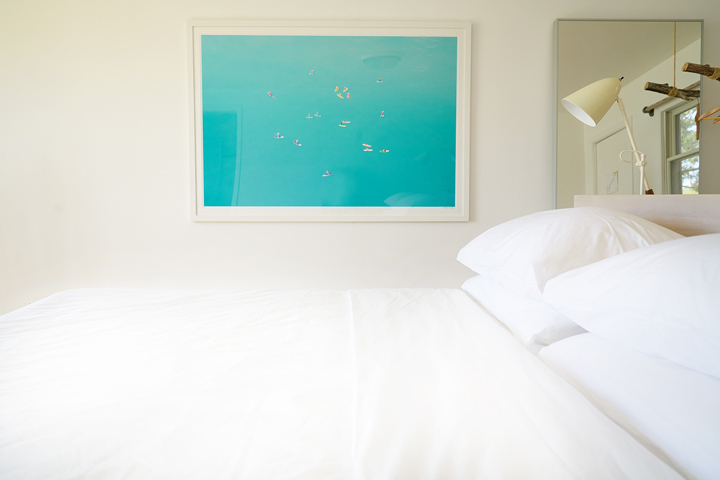 Gray Malin’s amazing photographs hang in all the guest rooms. 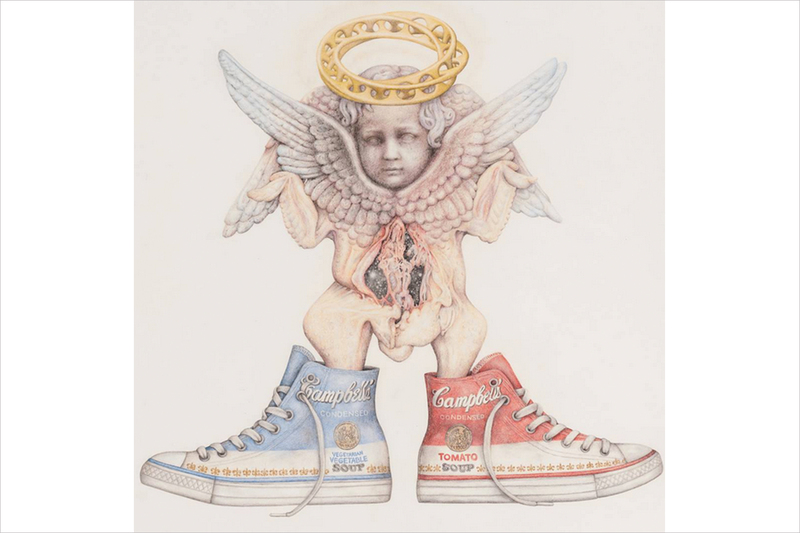 His art was actually the inspiration for much of the design. 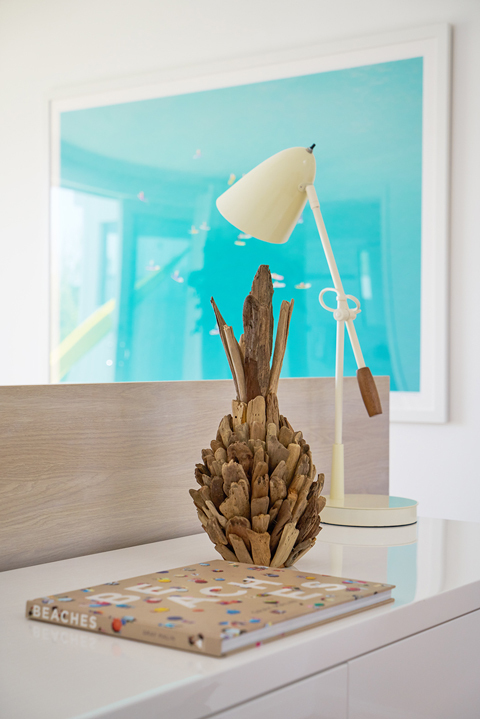 Pineapples are a symbol of hospitality, so we put fun driftwood pieces in all rooms to welcome guests. 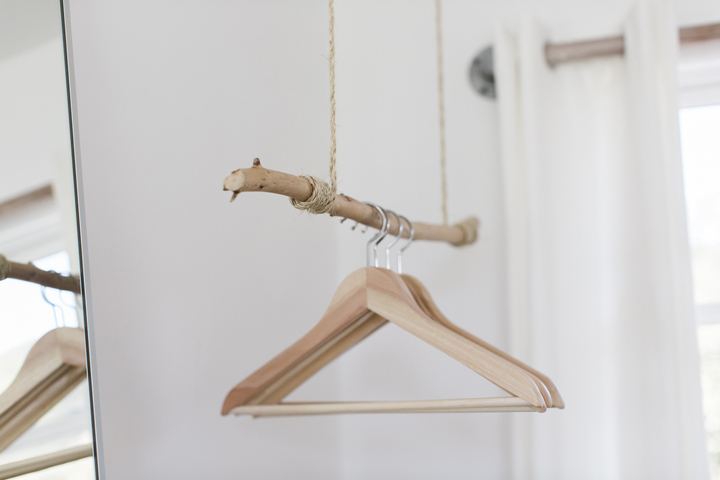 Driftwood hanging rails by Andrew Thomas Hamm. 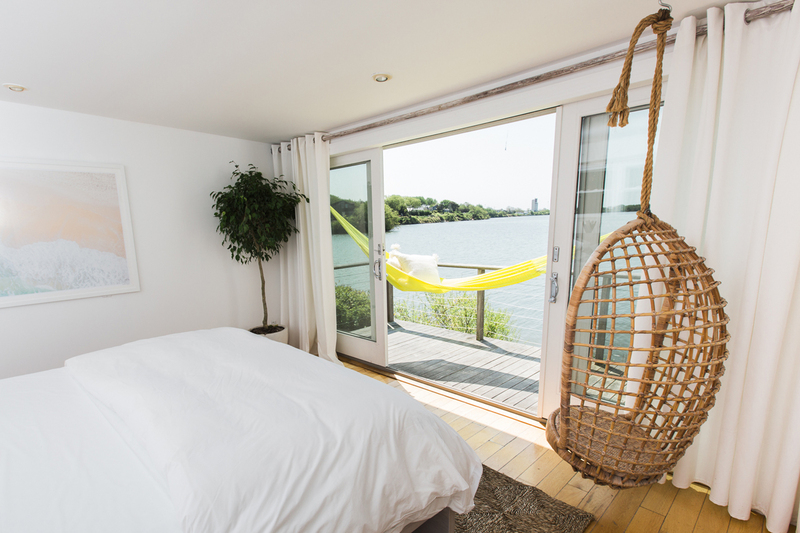 It’s a pretty special place to wake up. 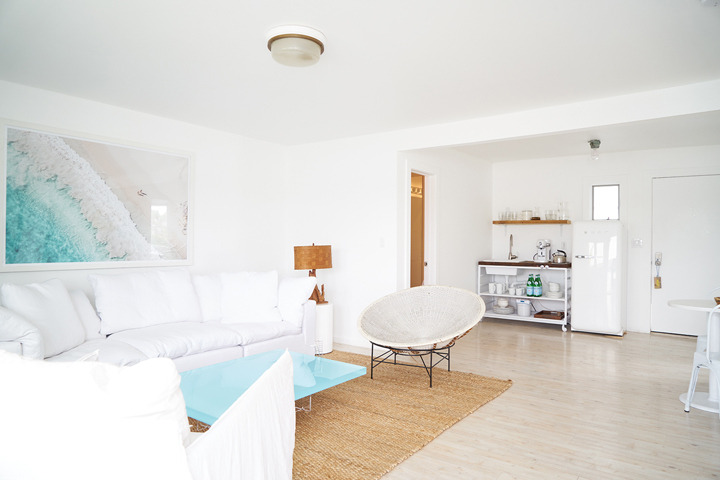 We redid the master suite in a super white and light palette. 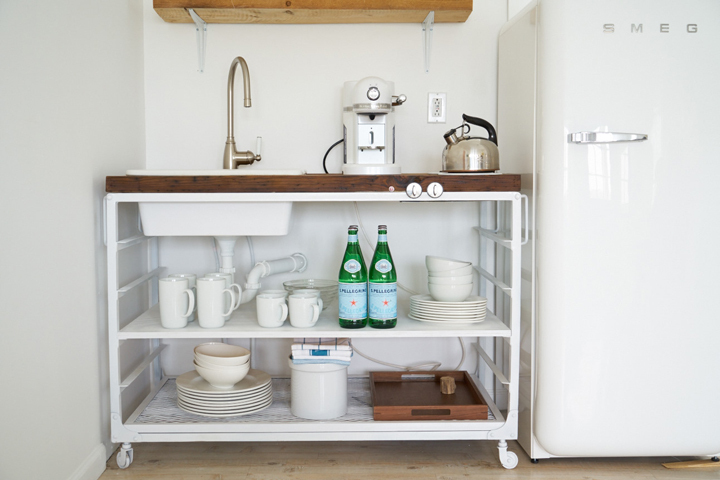 We had craftsman Andrew Thomas Hamm create a kitchette from a found cart and brought in a Smeg fridge and vintage-style Newspresso maker. 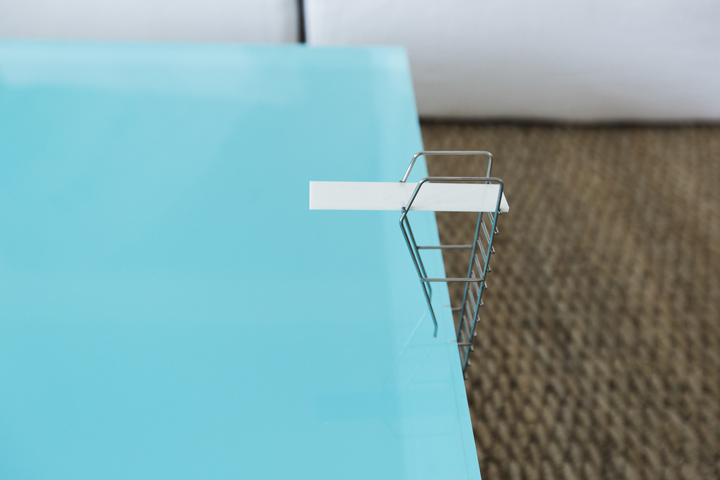 We had a bistro table made at a restaurant supply store on the Bowery and the perforated chairs are a sporty take on the typical metal restaurant chair. The antique Lifesaver is from Mantiques in Chelsea. 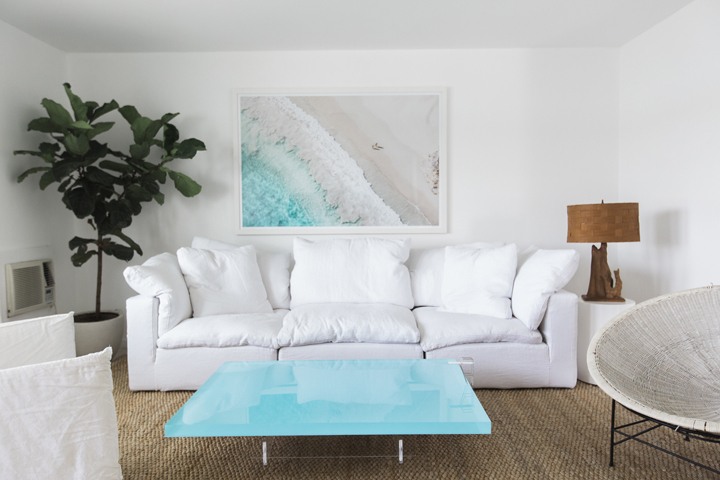 Gray Malin’s oversized print above a Cloud sofa by RH in the master living room. The pool table in the master living room is an epic piece by Freshwest in the UK. 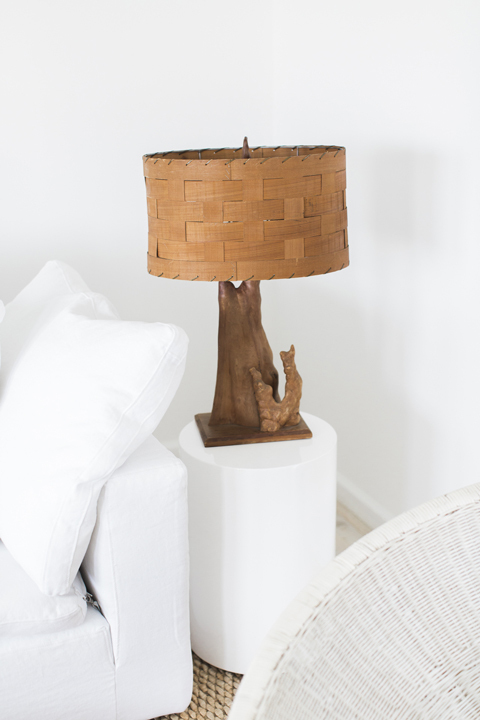 A vintage cedar root lamp from Adaptations in Brooklyn feels sculptural on a pedestal side table from CB2. 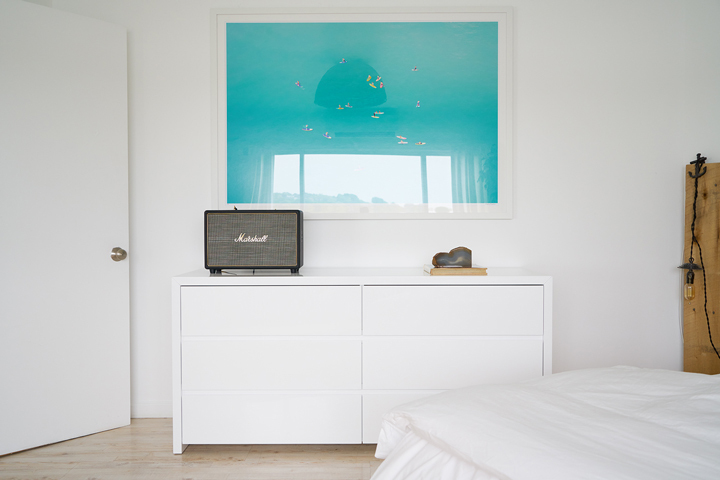 A gorgeous Gray Malin photo in the main master bedroom. 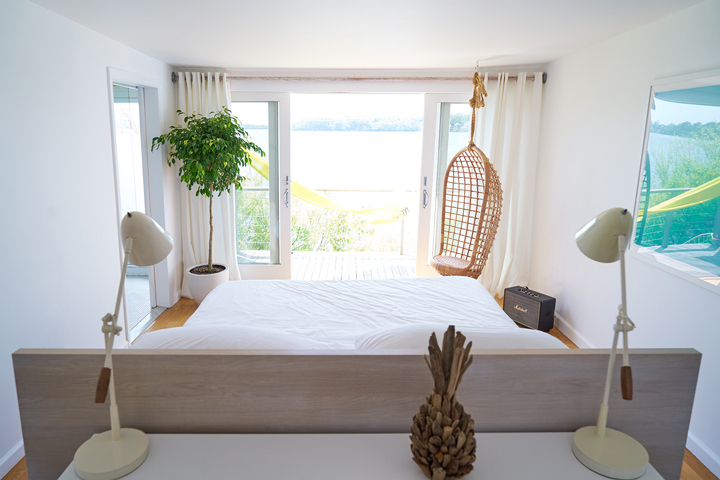 The master bedroom feels so breathable and airy – exactly how you want to wake up when you’re on vacation. 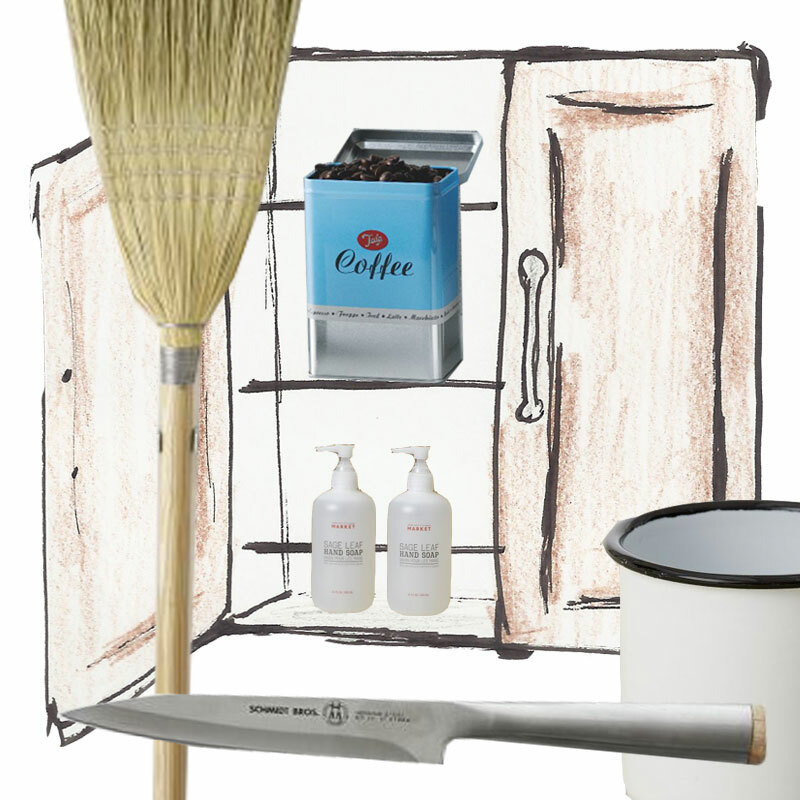 The glossy white dresser is by ABC Carpet & Home. 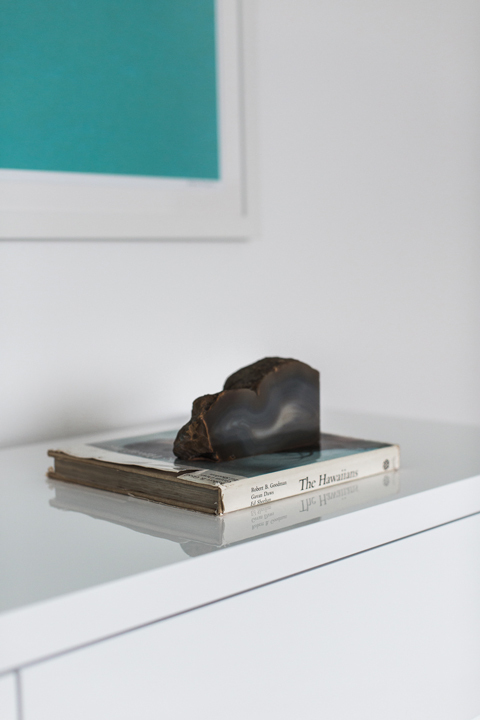 Vintage and natural elements really stand out when placed atop a sleek, modern piece of furniture. In the master suite’s second bedroom, a fun Gray Malin hangs alongside a vintage pineapple lamp from Porter James in Greenpoint. 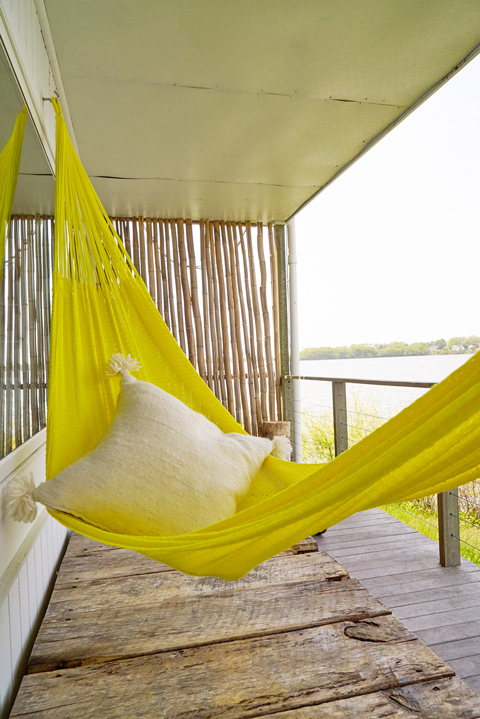 Yellow Leaf hammocks in bright yellow hang outside every room in the hotel. 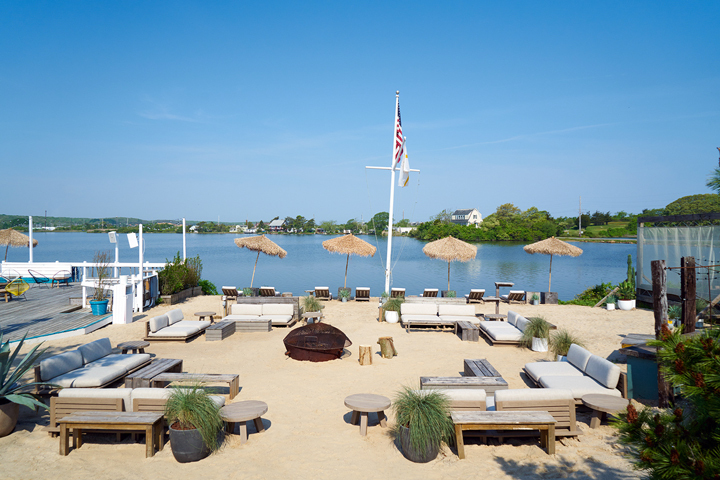 We used RH’s Maldives collection in weathered wood for our sandy firepit area. Doesn’t it just make you want to down a bottle of Whispering Angel, stat?